Melbourne : India and Australia will now be collaborating to clean River Ganga. - The announcement was made during Prime Minister Narendra Modi’s visit to Australia. - The joint statement came after both sides welcomed the two-way exchanges and cooperation in river basin planning under the water partnership. - To encourage research both sides also welcomed co-operation between Australian and Indian universities. 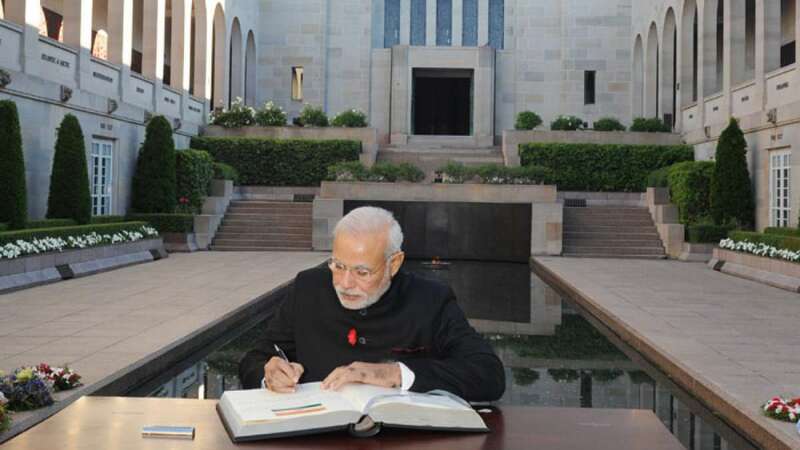 - Prime Minister Modi kickstarted his day with a visit to the War Memorial. - He was accompanied by his Australian PM Tony Abbott, where he laid a wreath in the Hall of Memory. - He observed few minutes of silence as a mark of respect. - He also signed the visitor's book before leaving the place. - On Monday, he addressed thousands of Indians from Sydney.